I LOVE Lenore Look! The Alvin Ho books are among some of all time favorites to recommend to middle grade readers the past couple years. 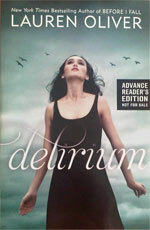 I haven’t known anyone who has been able to not enjoy Alvin Ho, his troubles, and fears. I am always on the look-out for new middle grade fiction series and I would classify Ruby Lu in that category. 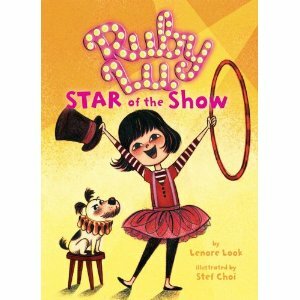 First there was Ruby Lu, Brave and True, followed by Ruby Lu, Empress of Everything (starred review, School Library Journal). Ruby Lu’s father has lost his job, her extended family from China is living with them, and Rudy desperately wants to be able to help. 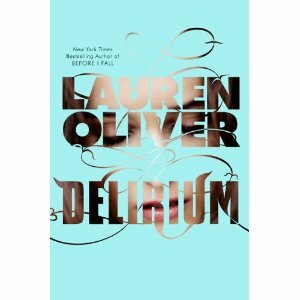 Due out February 8, 2011, add this to your winter reading list! Having read Love You, Hate You, Miss You, as well as Living Dead Girl, I was prepared for an edgy subject matter. Once again, Elizabeth Scott did not disappoint. 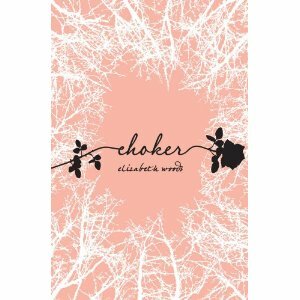 I sat down to take a look at the first chapter and didn’t stop until the book was finished. After I finished reading Grace, I told my husband that I would like him to read it as well because I need to talk about the book with someone to fully understand it. Is it the near future, as the flap alludes? Is it the present? Is it statement about politics in any certain country, past or present? 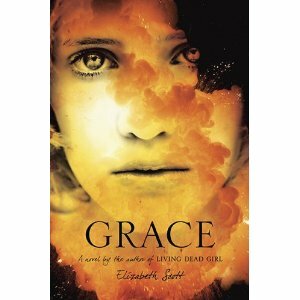 I think that young adult readers will be intrigued by Grace’s story, as it is so different from what they live daily. The idea of being “given” to a cause, the idea of being so trained to be a suicide bomber that you consider it an honor, is just not a reality to us. As you get to know Grace, you also get to know Kerr, the young man who is posing as her brother as they both attempt to escape over the border. Having both endured so much, at such young ages, they are both very similar and different at the same time. Being a survivor is what ultimately brings them to an understanding. I do believe that there are some people whose psyche’s are such that they are survivors, leading them to not just survive unthinkable horrors, but even be able to move on to having a life after those events are over. Others are not. Put two people in the same horrific situation, and there is no telling which one might end up the survivor. I think of Schindler’s List, of other Holocaust stories, of people who escaped over the Berlin Wall in a hot air balloon, of people over the centuries who have survived dictators, death marches, massacres of their people, and lived to tell the story. Both Grace and Kerr are those type of survivors. Brought together through no desire of their own, with only their strong sense of survival to keep them going, the book leaves the reader on a hopeful note. That perhaps not only will Grace and Kerr survive, but that they might even find comfort in each other and go on to have a relatively normal adulthood, where the horrors they have survived eventually fade into nightmares of the past. A quick, gripping read, Elizabeth Scott’s Grace is a must-read. I LOVE Cynthia Rylant! I was so excited to see a new picture book series by her during my last trip to Cover to Cover. 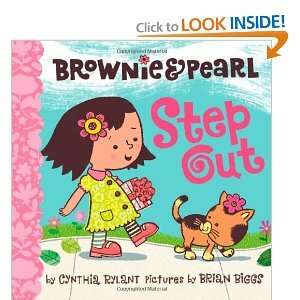 Brownie and Pearl Step Out is a 2009 Simon & Schuster release for 3-5 year olds. The little girl is Brownie and her cat friend is Pearl. In this episode, Brownie and Pearl are headed to a birthday party. They feel a little shy when they arrive at the house where the party is. I’m happy to see that there are other Brownie and Pearl books planned. Look for Brownie & Pearl Get Dolled Up, Brownie & Pearl See the Sights, and Brownie & Pearl Take a Dip (April 2011). I think these books will be big hits with those just learning to read youngsters. I hope they come out in paperback soon so they will be affordable for classroom teachers to have in their classroom libraries for their students. I was reading Tweets between DonalynBooks and PaulWHankins last week and it reminded me that it is time for ME to make some reading plans for the holidays. If I don’t I know the time will get away from me. I also know that I do better with a reading goal-somehow I feel less guilty spending the time reading if it’s part of a goal. I know it makes no sense, but if it helps me relax, so be it! Check out the new Teachers College Reading and Writing Project website. I’m very excited about TC’s focus on the new Common Core ELA standards. This brand new institute will help educators, at all levels, develop the curriculum and methods necessary to ensure that students reach the rigorous new standards for content area literacy embedded in the Common Core Standards. Participants will begin by learning a repertoire of skills for teaching young readers to think analytically about nonfiction texts; such as interpreting, synthesizing, and comparing and contrasting. Participants will draft action plans aimed at revising curriculum in social studies, science and language arts that best prepare students to read critically, wrestle with authors’ points of view, and talk in depth about authorial choices. The institute will focus not only on reading nonfiction critically, but also nonfiction writing, with an emphasis on informational and opinion writing. Participants will learn ways to help students write fluently across the curriculum, using writing as a tool for analytical thinking. The entire institute will be angled to help participants develop and utilize performance assessments effectively—many that the TCRWP has already developed to track students’ progress in higher-level comprehension and composition skills inherent in the Common Core. Participants will delve into the implications on school leadership and classroom instruction; learning ways in which studying student work has helped teachers determine how this initiative relates to everything they are already doing. This institute will equip participants with classroom-tested, practical, powerful methods to ramp up the level of comprehension work that students do, while, still, instructing with concreteness and clarity to help students progress from what they can already do towards new, robust goals. Throughout the week, participants will spend half of their time in a large group section and the other half of the day in small, interactive groups learning practical methods that will strengthen their teaching. Both small and large group sections will be organized by grade level. Many thanks to my friend Travis and his fabulous wife Amanda!